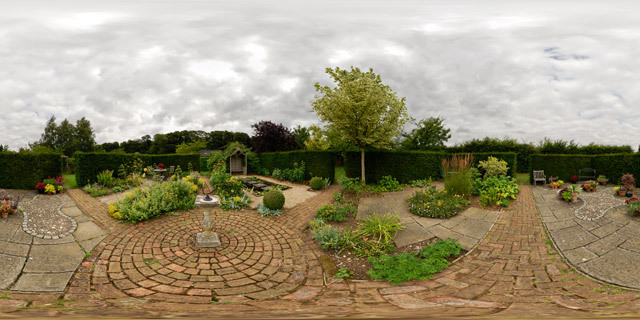 360° VR panorama of the Courtyard Gardens in Barnsdale Gardens, Rutland, UK. The Courtyard Gardens consists of 4 individual garden designs, suitable for those who only have a small back garden. 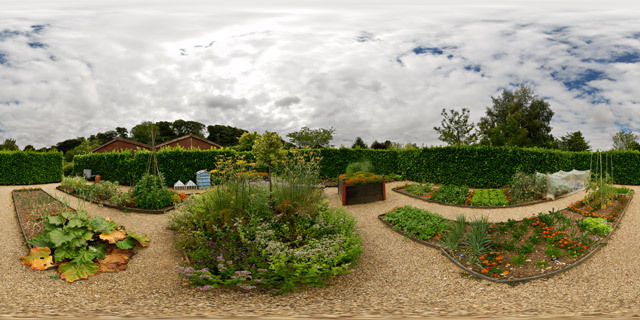 Each garden features a different design, showing that don’t you don’t need a large space to create a beautiful garden. 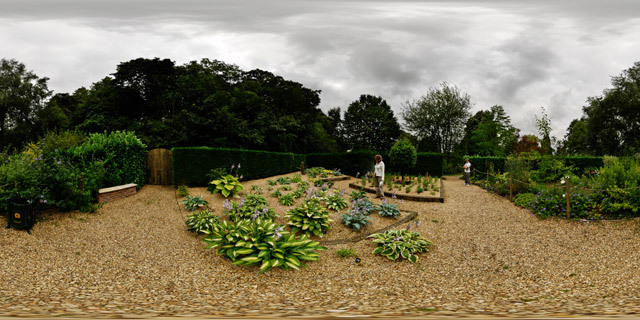 360° VR panorama of the Formal Pond and Knot Garden in Barnsdale Gardens, Rutland, UK. 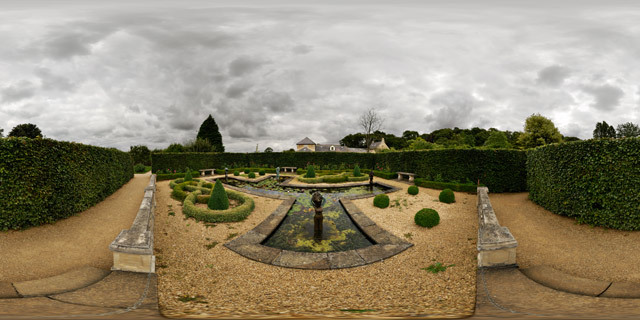 The garden is designed around a large pond, which features four bronze statue fountains by British artist Lily Sawtell. The small box hedging in the garden has been ‘knotted’, and along with the pond design and seating, gives the garden an Italian feel. 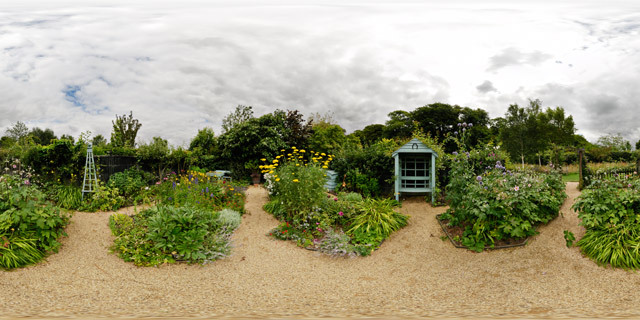 360° VR panorama of the Artisan’s Cottage Garden in Barnsdale Gardens, Rutland, UK. 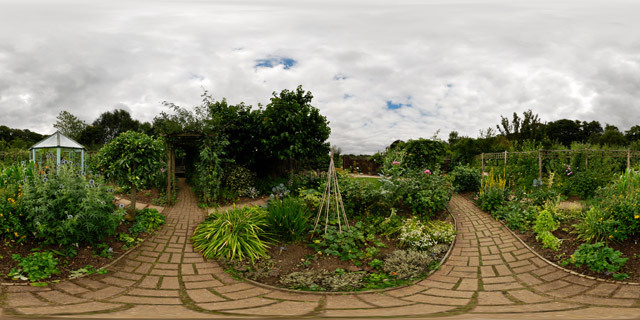 The garden was built for the BBC TV series “Geoff Hamilton’s Cottage Gardens”, and was created on a minimal budget. The Artisan’s Cottage Garden is designed with the features being easy to build yourself and the plants selected to be easy to grow and propagate. 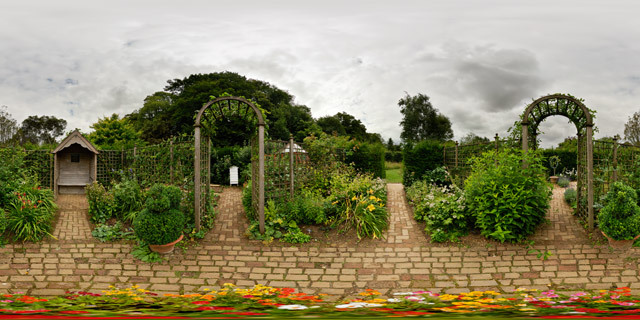 360° VR panorama of the Apple Arch at Barnsdale Gardens in Rutland, UK. 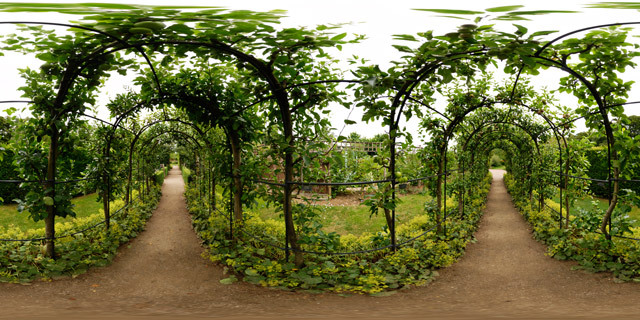 The pergola is comprised of nearly 30 varieties of apple with a few pears. 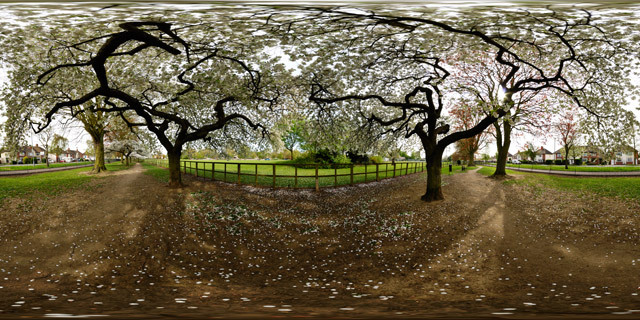 The trees were planted as year old whips, and then trained over the metal arch framework. 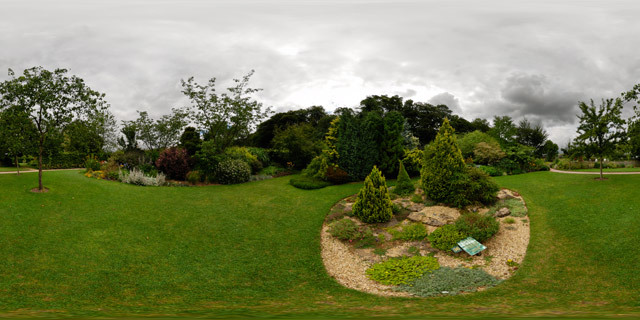 360° VR panorama of a rock feature in Barnsdale Gardens, Rutland, UK. The rock feature was originally built for photographing alpine plants for the Gardeners’ World Practical Gardening Course book. Coarse grit was mixed with the soil to create a growing environment suitable for the alpine plants.